How professional is your business writing really? Have an expert brush up your writing and learn how to write emails, reports, memos and minutes of meetings with confidence in three individual intensive half-day workshops. Anglo-Dutch language consultants offer personalised in-company English and Dutch courses in the Amsterdam area and throughout the Netherlands. All courses are tailor-made for the individual learner in today’s demanding business environment and take into account the role of the learner within their organisation. The experienced teachers, Shona Ackerman and Jan Duvekot, are genuinely enthusiastic about teaching and offer accessible courses geared to the client and incorporating their area of business and expertise. Flexibility to fit a course into your schedule is one of the main advantages of our courses , saving time and high on efficiency. We are big enough to be professional but small enough to offer a personal service. The result-oriented approach is carried through to all levels of the process: at the intake and on the proposal which itemises clear goals. A detailed report is given with grades in key skills at intake and the level achieved on completion. Participants notice they become more confident in their language skills and can get their message across more effectively from the board room to the canteen. Clients include ING bank, ING group, ABN Amro, International Endessa BV, Niké European headoffice, Smit International (maritime services) among others. recommendations:”Shona is a very professional English trainer. She is always looking for the best learning options that fit the person who takes the training . Shona is highly qualified and as a person very kind but firm, and always patient.” Top Qualities: Good Value, High Integrity, Creative. 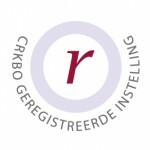 Carla Dirksen, HR, ING. “Shona is an excellent teacher. Knows her audience and is able to connect on a personal level. She inspires the conversation lessons with refreshing exercises. Lovely personality!” Simone de Roos, HR Consultancy ING retail. Please contact our course coordinator on 06 156 94 629. Alternatively, you can mail us (contact form). Our in-company (B2B) language courses can help you and your staff get your business message across!